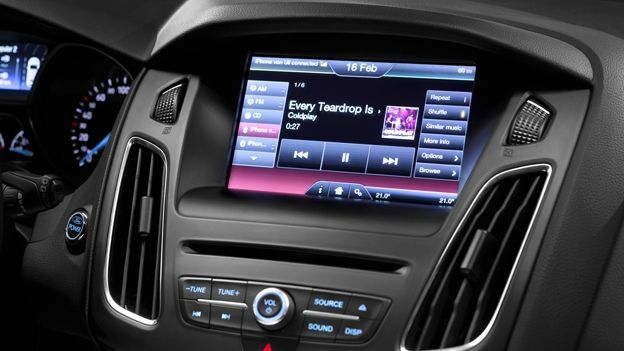 Ford has delivered a timely update to its MyFord Mobile app that brings smartwatch functionality to certain vehicles. The new app, which is available now, doesn't actually let you drive the vehicle from the comfort of your watch and instead complements the MyFord Mobile smartphone app by allowing you to tweak various comfort settings inside the car. There are plenty of things the app can do such as precondition the car from the outside before travelling, display a detailed summary of mileage, show the last trip the car made and supply various pieces of data concerning the car. The watch also provides a personalised driving score that uses green leaves to illustrate how efficiently you're driving and is a push to make sure Ford owners are more responsible when driving. Another nifty feature it offers is the ability to use data concerning the location of the car including driving directions if you've left the car at a pub on the edge of Epping Forest and have no idea how to get there and back again. The Android Wear and Apple Watch apps are available right now and you can start playing around with the features as long as you own a Ford C-MAX Energi, Focus Electric or Fusion Energi.